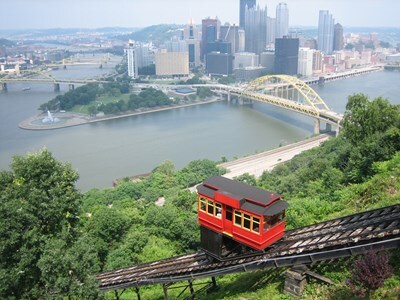 Pittsburgh is the second largest city in the U.S. Commonwealth of Pennsylvania and the county seat of Allegheny County. Regionally, it anchors the largest urban area of both Appalachia and the Ohio River Valley. Nationally, it is the 22nd largest urban area in the United States. The population of the city in 2010 was 305,704, while that of the seven-county metropolitan area stood at 2,356,285. This description uses material from the Wikipedia article on Pittsburgh and is licensed under the Creative Commons Attribution-ShareAlike License (view authors). 10 people want to do this. 3 people have done this.